This C shape clip is made of SUS 304 stainless steel . 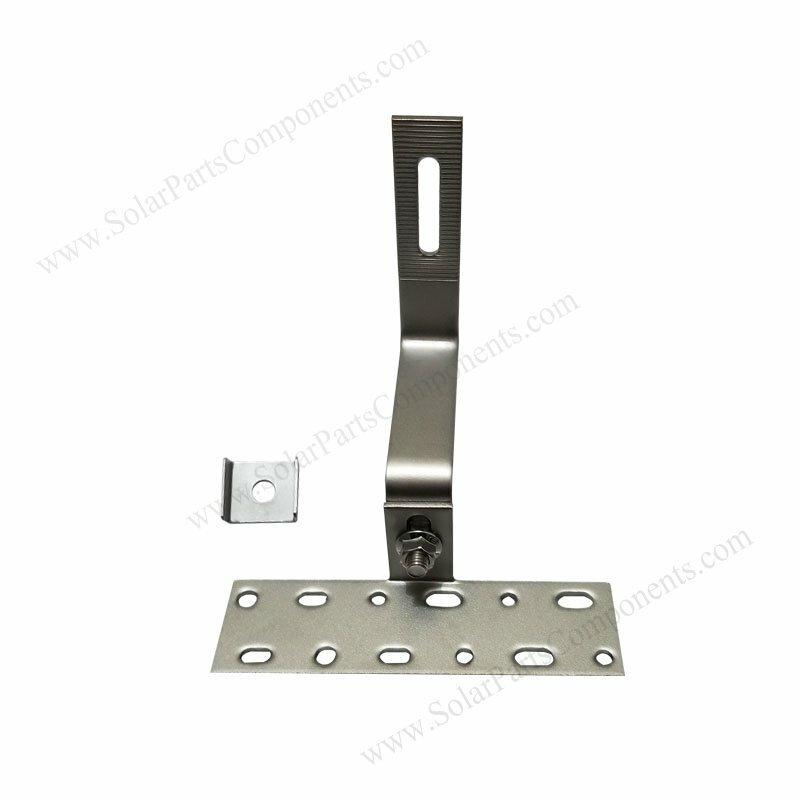 The function is fixed hook arm with hook plate during adjusting height of solar hooks . 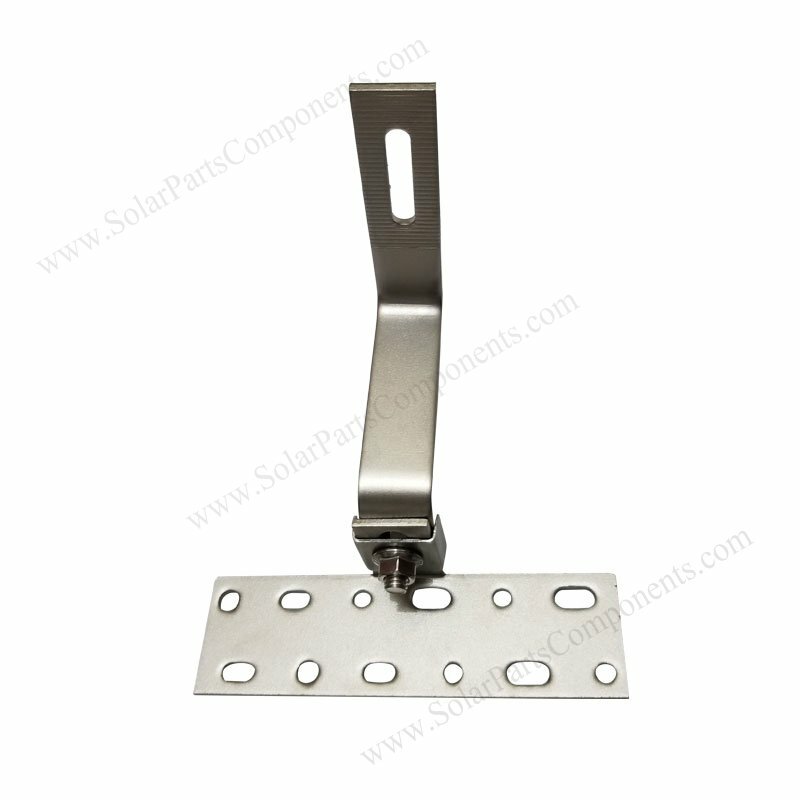 For adjustable solar tile roof hooks, whatever side adjustable or bottom adjustable . The hook arm is easy rotating if bolts are not fasten well . This will cause aluminum rails would not be horizontally installed and solar panels will not installed well . 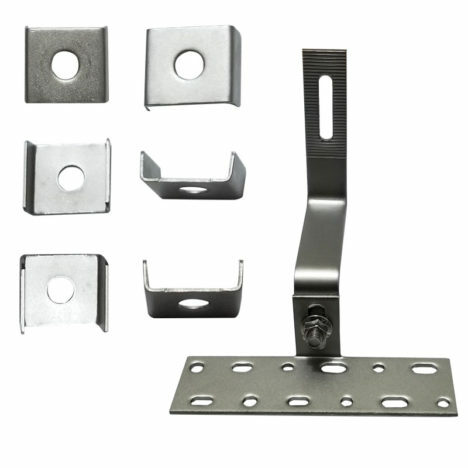 Our “C” clip / clamp / hook can prevent hook arms from tilting left or right , keep every solar hooks vertically . 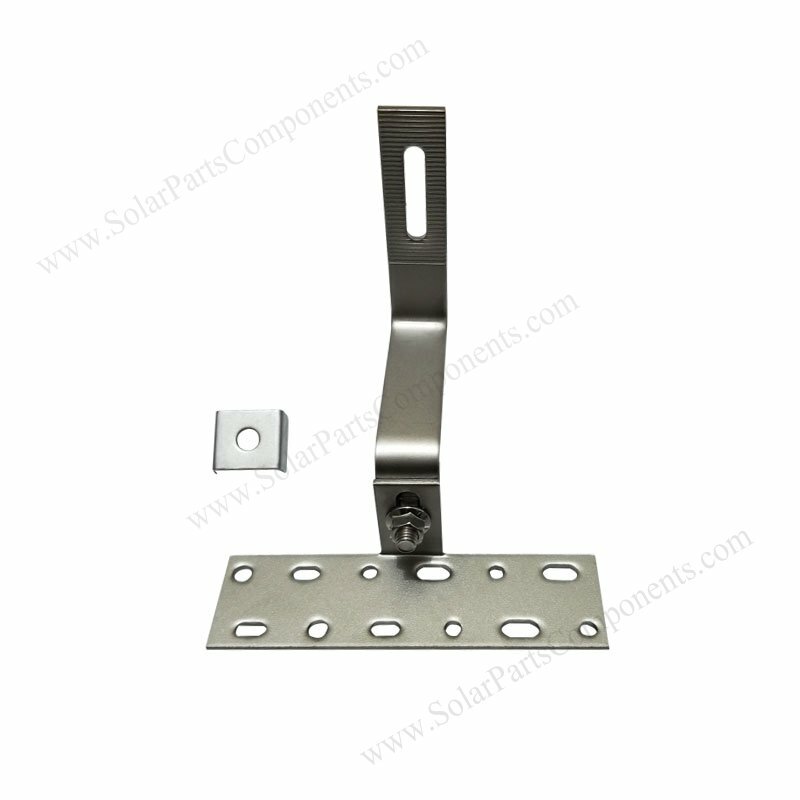 We use A2 class stainless steel material for these C clips as well as our other SUS 304 stainless PV module hooks . 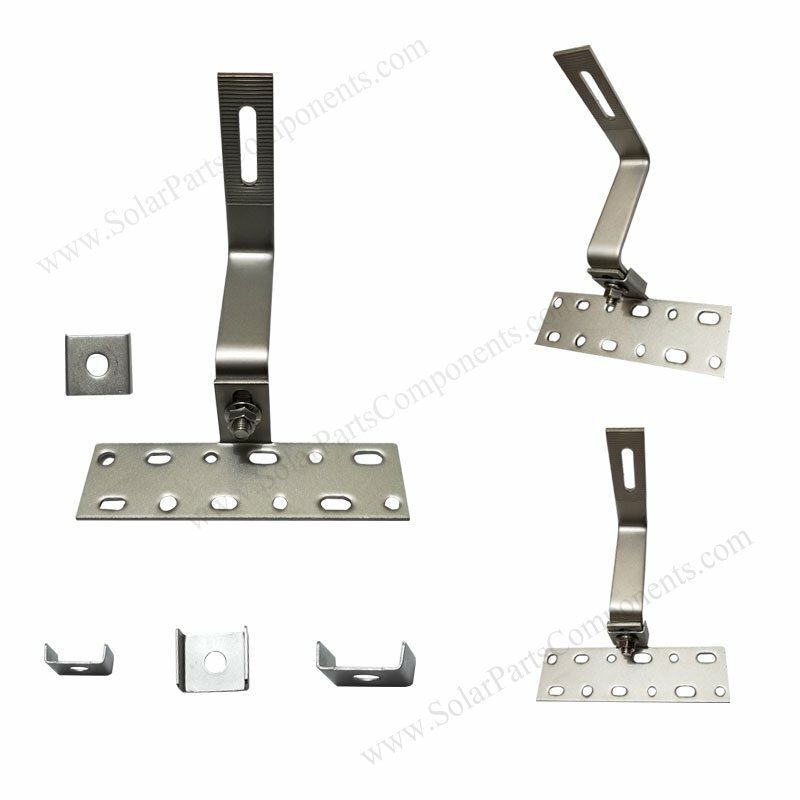 The C clamp are compatible for any kind of height adjustable solar tile hooks : curved / flat / asphalt roofing tile hook models . Customized width are available if necessary, we can fabricate and sell this component separately . (5) Fasten hex nuts , adjust the proper height of solar hooks , Done ! Welcome to use our C model fixed clip for prevent hook arm and plate base from revolving during adjusting height of solar hooks . How to using this fixed C Clip / Clamp / Hoop for Adjustable Solar Roof Hooks ?